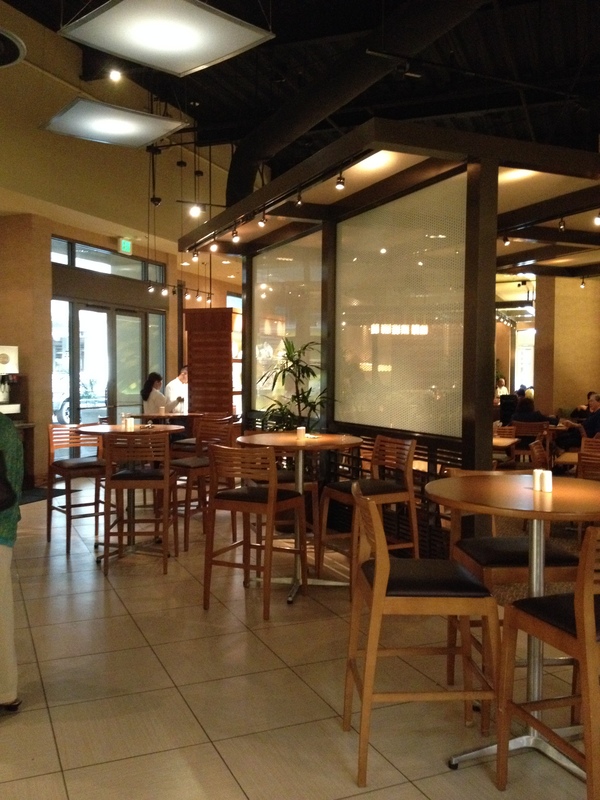 Escape the madness of Ala Moana Shopping Center at the Marketplace Cafe, tucked away on the 1st floor of Nordstrom. Surprisingly, it is fairly quiet, dim lighting and a relaxing setting even though it is located in a major department store within the mall. 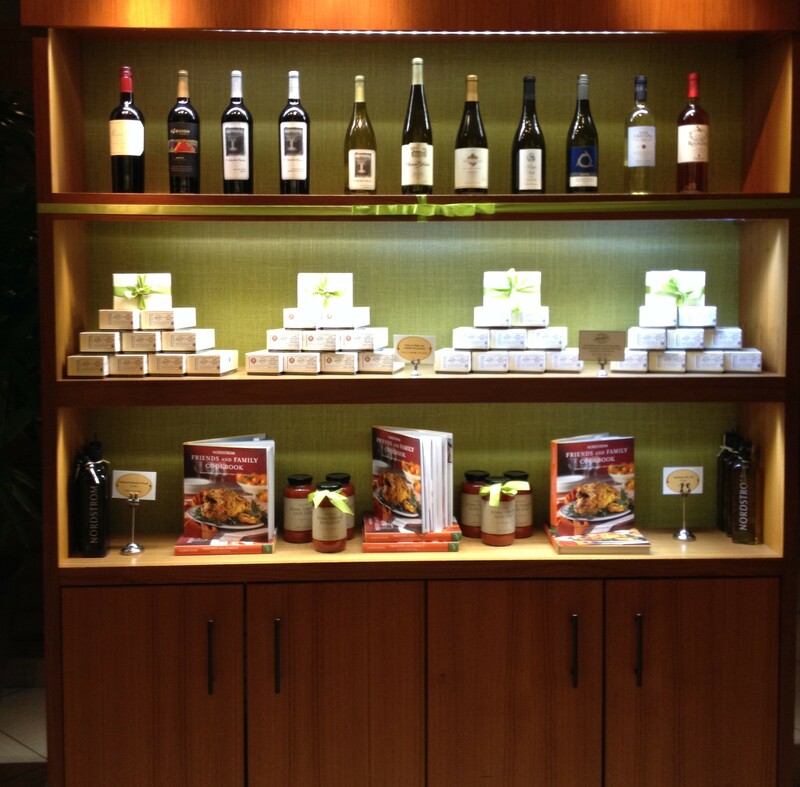 As you walk in, you’re greeted by a display of wines, cookbooks and gifts boxes. While the feeling is quite bistro-ish, it is actually a cafeteria-style order process. Grab a tray and make your way down the counter. Choose from soups, salads, sandwiches, pizzas or pasta. All of the food is local, sustainable, natural and organic. The fountain area is all self serve. Soup options are Roma Tomato Basil or Soup Du Jour. 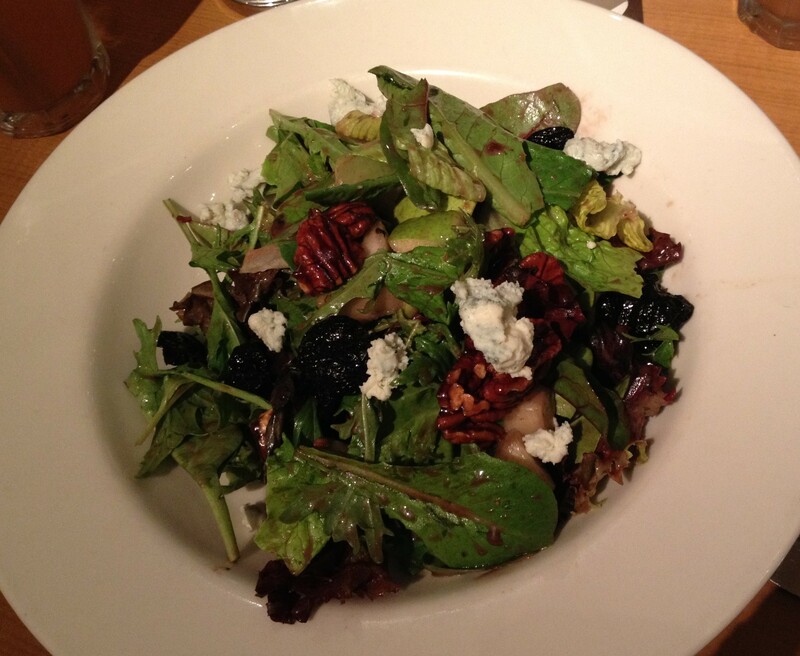 The salad menu was most impressive with choices of Chinese Chicken Salad, Cilantro Lime Chicken Salad, Chicken Apple & Goat Cheese Salad, Nicoise Salad with Salmon, Blue Cheese & Pear Salad, Caesar Salad with Chicken or Mixed Berry & Chicken Salad. I love a light salad for lunch, so this was the perfect place for me! A great place to rest your feet from shopping or to meet up with a friend, as we did. Choose a table or a booth. Sit, relax and talk your lunch away while sipping a refreshing Plantation Tea (made with organic tea)!!! Pizza is always a great option for kids! 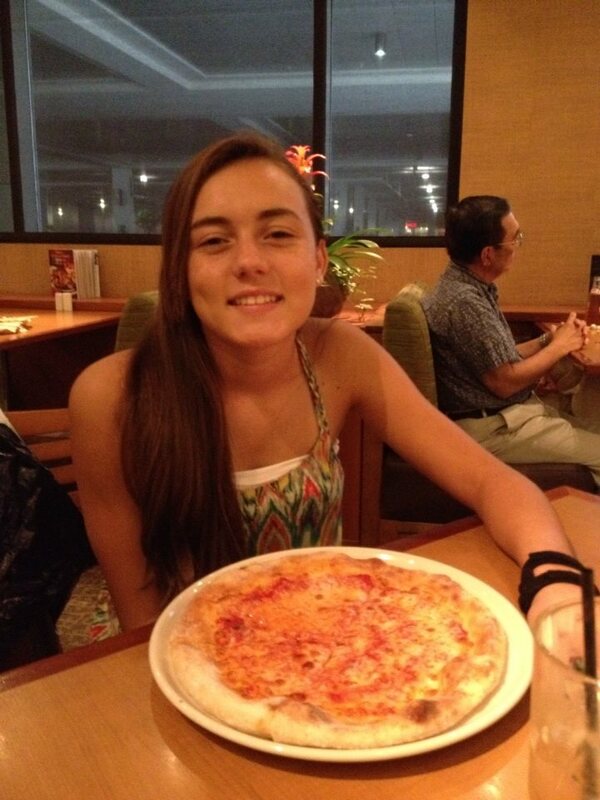 I could smell the pizzas as soon as we walked in to the cafe. Choose from specialty pizzas including Prosciutto & Arugula Salad Pizza, Margherita Pizza, Pepperoni & Mushroom Pizza or simply order a classic cheese pizza. If a sandwich is your preference choose from 7 wonderful options which include the California Grill, Chicken Club Sandwich with Maple Glazed Bacon, Grilled Santa Fe Chicken Sandwich, Sliced Peppered Steak Sandwich, Cranberry Turkey, Prosciutto Mozzarella Caprese Sandwich, or Grilled Pesto Chicken Sandwich. The Marketplace Cafe also has Specialty Selections which include Tuscan Roasted Chicken & Tuscan Roasted Salmon. Many of the dishes are displayed at the counter for customers to see. However, the make each dish made-to-order. Grab your number, pay at the end of the counter and choose your seat. The wait staff will deliver the hot items to your table. Don’t let the cafeteria- style setting fool you. The Marketplace Cafe is not your typical cafeteria-style food such as mac n cheese and patty melts. 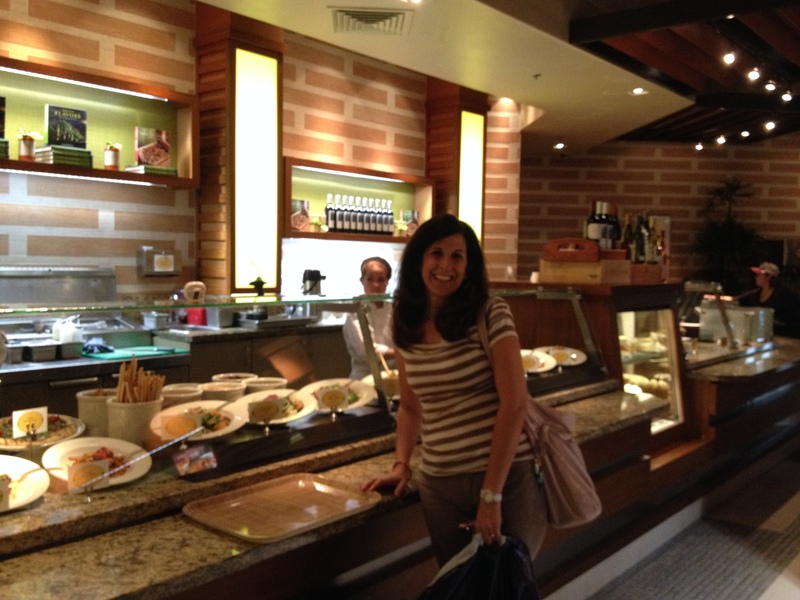 If you are looking for a fast, but healthy option – The Marketplace Cafe is a great choice while shopping at Ala Moana!! We weren’t looking for anything heavy, just a quick bite to rejuvenate before hitting the mall for more shopping fun. Let’s not forget to mention, they have pasta too! The Mushroom Ravioli looked amazing and I almost chose that! Other pastas include Chicken Tomato Alfredo & Spicy Shrimp & Angel Hair Pasta. Let’s not forget to mention dessert! The best part of a lunch date. The Marketplace Cafe has desserts displayed in a case as you walk by the counter. The humongous slice of carrot cake caught my eye immediately. Although we really didn’t have room to eat dessert- we broke down and had to have a slice. The desserts are perfect for sharing. 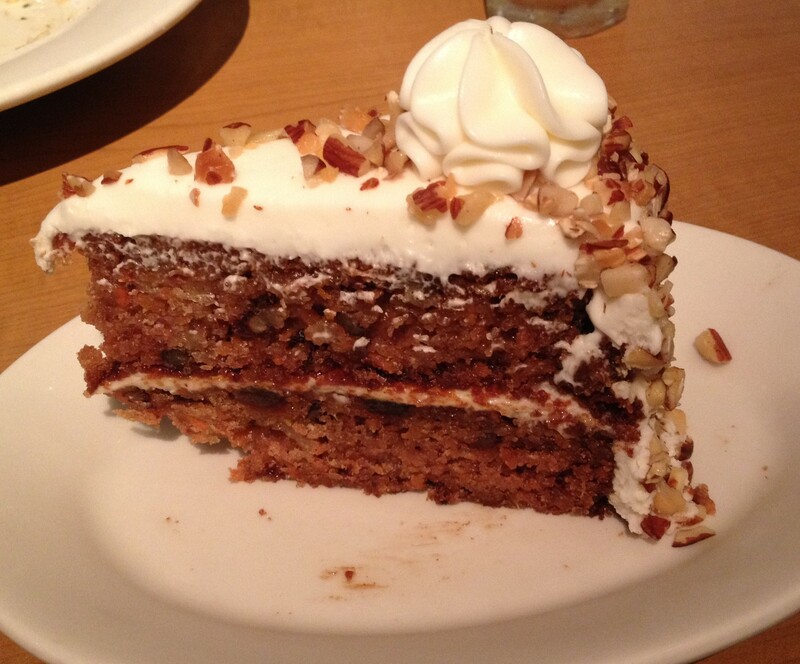 The cake itself was very, moist and full of walnuts and shredded carrots. The cream cheese frosting was way to sweet for me, so we just scraped it off and enjoyed the cake. The Marketplace Cafe also caters to children through a unique Kids’ Cafe program. 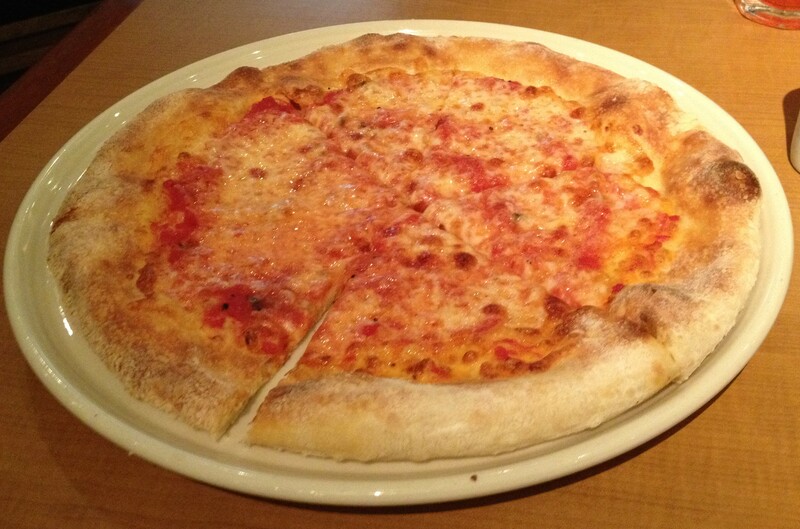 $$ Saving Tips: The salads and pizzas are large, great for sharing! Prices range from $3.95 for a cup of soup to $13.25 for specialty dishes. The prices are extremely reasonable in comparison to the portion sizes. I had expected the prices to be high since it is located in Nordstrom- but not true. 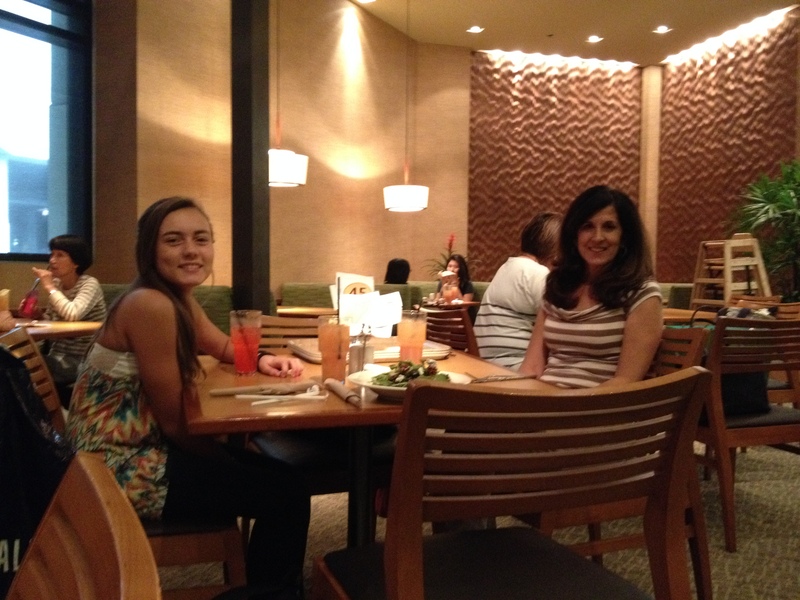 Be sure to order the Plantation Iced Tea and the wait staff will come around throughout your meal and fill it up. 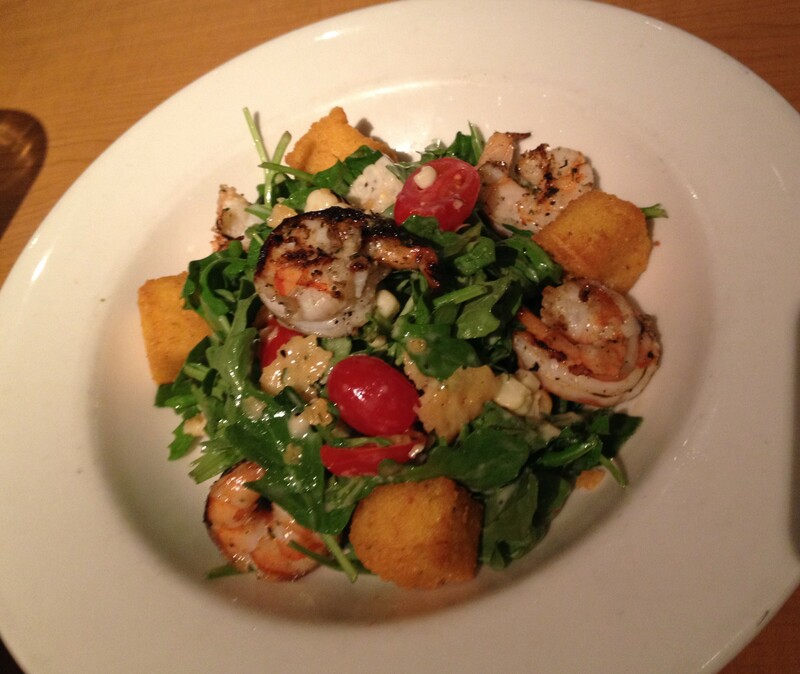 This entry was posted in Hawaii, Oahu, Hawaii and tagged Ala Moana Shopping Center, Arugula shrimp salad with polenta croutons, Blue Cheese & Pear Salad, Honolulu, Lunch, Marketplace Cafe, Nordstrom Ala Moana, Oahu, Hawaii, Plantation Tea.